Something awesome happens when you squeeze an orange. Juice comes out. It doesn’t matter whether it is sliced in half and then squeezed with hands directly into a glass or chopped up in big pieces and thrown into a juicer, or even if it is peeled and then ‘juiced’ by my teeth and they chomp up and down, the fact of the matter is that regardless of the particular method of squeezing involved, the juice that is inside that orange is going to come out under pressure. 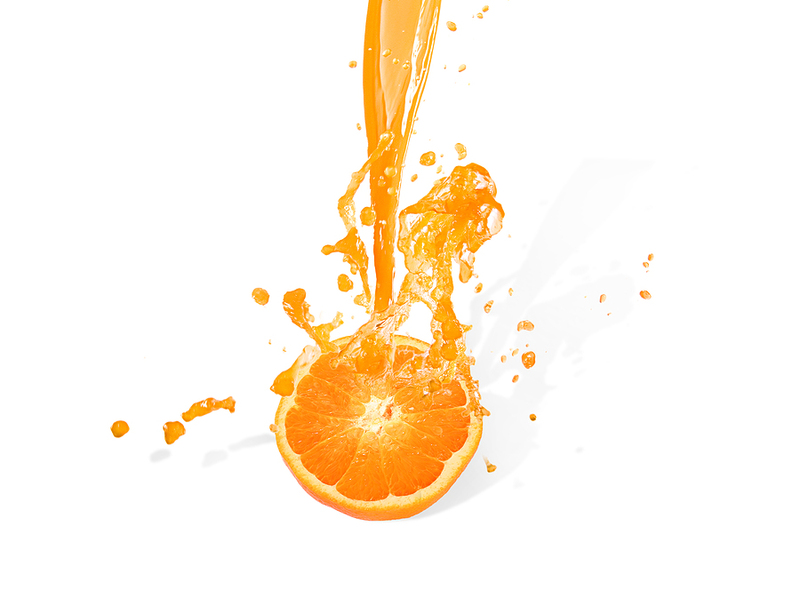 How strange would it be if we squeezed an orange, only to find something other than orange juice? Perhaps it could be apple juice, pear juice, or if you are really unlucky it could be guava or a papaya juice – or worse still a glob of black goo. That’s when you just throw it in the trash (papaya and goo). We would label it as a Pharisee fruit and shake our heads in disgust wondering what on earth went wrong. Fruit is a product of a tree1, and rightfully and literally is called the fruit – not just because that’s its name, but also because it is a literal product of, or the end result of the growth process of that tree/vine/bush. In this sense, the juice that is inside the fruit could be considered the fruit of the fruit – or the end result of that fruit’s maturity – or in other words, what it ultimately has to give at the end of it’s life cycle (when its time to be squeezed). Mosiah and Alma were almost identical in their descriptions of the qualities that we should posses (as enticed by the Holy Spirit), being “submissive, meek, humble, patient, full of love, and all long-suffering”.4 Then, the Lord himself indicated that power (the only real kind) must gained and exercised by “long-suffering, gentleness, meekness, and by love unfeigned; by kindness, and pure knowledge”… and that our bowels should be “full of charity, and that virtue should garnish our thoughts unceasingly”.5 By my count that’s a list of at least 31 traits (at least 13 are duplicates) that should be “in us” if we have the spirit and if we are to be good fruit. The next question then, is what comes out of us when we are squeezed? Regardless of what method of squeezing is used, or who (or what) is doing the squeezing; if we experience pressure (and we do), our fruit juice will start to come out. Squeezing could be things like pressure at work, juggling the various demands on our time, busy schedules for everyone, church callings, high expectations, unfair and perhaps uninformed judgments, words, thoughts, or actions towards us by anyone and everyone, and really every other thing in the whole world that has been specifically tailored to our individual lives, or products of living in a fallen world to see how we respond individually to being squeezed. After all, that’s why we are here isn’t it? When things get hard (they will and they do), and the light seems to be fading, and sometimes when the lights are bright and everything is fine, you can bet you’re being squeezed – and what comes out of us (how we treat others, how we turn outward in that moment, how we act, etc.) is a really good indicator of what is really inside of us. Let’s all hope that when we are being squeezed we have more to offer than a pile of black goo or papaya juice – because this world already has enough anger, resentment, vengeance, un-forgiveness, lack of patience, short-suffering, harshness, contention, vice, vanity, pride, selfishness, and insubordination. There is enough and to spare of that black goo. Instead, let’s hope that when things are the hardest, the toughest, the gruesomest, the darkest, and the most difficult – when we are really getting squeezed – that sweet and flavorful fruit juice of the spirit is what people will see coming from us. Things like patience, charity, long-suffering, kindness, temperance, goodness, faith, joy, meekness, humility, and love. Let’s match the world and provide enough and to spare. To come back to the center of everything, let’s think about the time when the best of us all was squeezed beyond anything that you or I can even imagine. Then realize that during those excruciating moments of absolute pain and anguish, the fruit that was “in him” was literally squeezed right out of him, and was left for all to see – and it was the purest of all love. Pure, humble, constant, amazing love. His squeezing was so intense, that it caused him “even God, the greatest of all, to tremble because of pain, and to bleed at every pore, and to suffer both body and spirit”. 6 Yet there he was, all the while worried about you and me, and making sure that we had a way out. Let’s share goodness, even when we don’t think anyone deserves it. Maybe especially when we know they don’t deserve it, because after all, we are all in the growing process of becoming fruit, and the juice that is inside of us is what we ultimately have to give during every step and leading up to the end of our life cycle. And fortunately for all of us, a loving father has provided us a strong and beautiful tree (and vine) that provides nourishment, love, and encouragement through his grace to help us be the best fruit we can be. 1 – I realize that there are some fruits that grow on vines, bushes, or in bogs as well, but the principle is the same (they grow on some type of plant).